1st PHOEBE workshop at Villanova! The PHOEBE team is excited to announce the very first annual PHOEBE workshop! The workshop will take place on June 18-22, 2018, at Villanova. Registration is free, lunches will be covered, and affordable accommodation will be offered to participants on campus. For more information on the workshop please see the PHOEBE workshop page; for more information on PHOEBE itself please visit the PHOEBE homepage. To download the poster in high resolution png format, please click here. Hot-wiring the Transient Universe is a series of meetings to explore the opportunities and challenges of massively parallel time domain surveys coupled with rapid coordinated multi-wavelength follow-up observations. The interdisciplinary agenda include future and ongoing science investigations, information infrastructure for publishing observations in real time, novel data science to classify events, and systems to optimize follow-up campaigns. 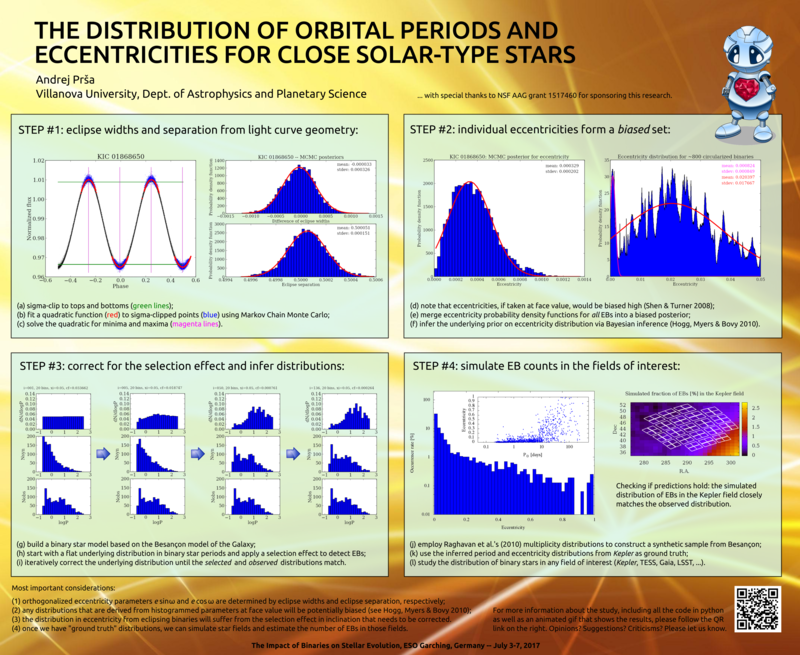 Time domain astronomy is at the fore of modern astrophysics and crosses fields from solar physics and solar system objects, through stellar variability, to explosive phenomena at galactic and cosmological distances. Recent rapid progress by instruments in space and on the ground has been toward a continuous record of the electromagnetic sky with ever increasing coverage, sensitivity, and temporal resolution. With the advent of gravitational wave and neutrino observatories, we are witnessing the birth of multi-messenger astronomy. 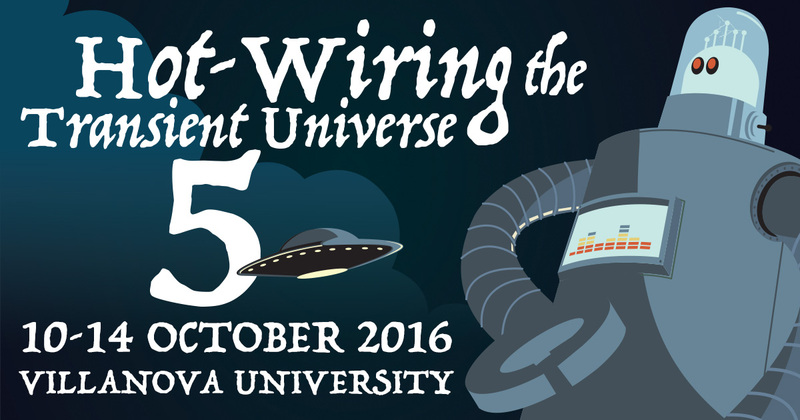 More information on Hotwired 5 can be found here. Villanova University’s College of Liberal Arts and Sciences invites applications for a Mendel Science Experience Post-doctoral Fellow within the Department of Astrophysics and Planetary Science, in our research group. The Fellows program is designed to enhance the College’s teaching of science to non-science majors and to foster the professional research development of recent PhD recipients on a career path leading to faculty positions. The position begins in the Fall of 2016. Further information about the department can be found here. Water? Who needs water if you got super-critical CO2! A recent study recapped in this story hints at a possibility of super-critical carbon dioxide playing a role of water. In short, super-critical CO2 is a special aggregate state of CO2 at high temperatures and high pressures where it attains fluid properties while still in gaseous form, and becomes particularly well suited for organic compound hosting. A good read for all of you interested in possibilities of life outside our planet! Nebular theory tested before our eyes! In the Life in the Universe course, we talk about the Nebular theory and how it explains the formation of planets. Today, the Atacama Large Millimeter Array (ALMA) team unveiled an image of a planet-forming disk around a young star HL Tauri. Hopefully that provides further credibility to my students when thinking of the origin of our own solar system. For more details see the official press release. I hate to come across righteous or patronizing, but I think this needs to be said. Somewhat frequently I am reminded by the students that I am too demanding and, especially for the Arts majors in science, that the students are struggling beyond what is "expected". My usual rhetoric is to say that my criteria are a reflection of respect: I believe in my students, given that they are the intellectual centerfold of our future, and the more highly I regard them, the more I expect of them. Here is another take at making the same point, from a completely different perspective (and my hands are clean on this one): The Learning Myth. Ever wondered why aliens are visiting us? I have to say that it was a great sabbatical! In a nutshell, 3 papers written, one of them accepted, two about to be submitted, both to Nature; met great new friends and colleagues, and learned a bit of asteroseismology. Got to visit Slovenia 3 times, the Netherlands and Malta, not to mention all the attractions UK has to offer! My favorites were the highlands of Scottland, the Lake District and, inevitably, London. A wine store in Clitheroe will also remain etched in my mind, and a fabulous Scottish accent. We recently purchased two new 48-core nodes for our astronomy cluster here at Villanova. I decided to bite the bullet and designate one of the two new nodes to be the server for the whole cluster, and the other be just the regular node. I installed the basic system, hardened it, installed all the relevant software and then gone on to install... gulp... IDL.